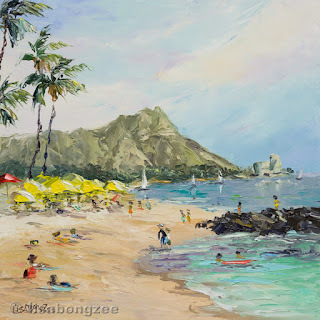 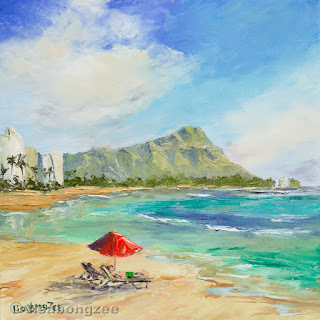 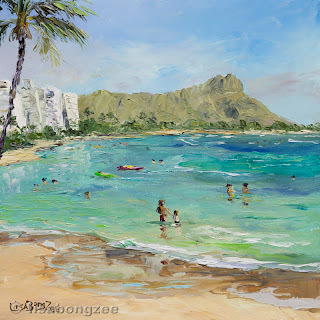 Here are a few of my Waikiki themed mini original palette knife oil paintings now available at the new Island Treasures Art Gallery in the Outrigger Reef Waikiki. 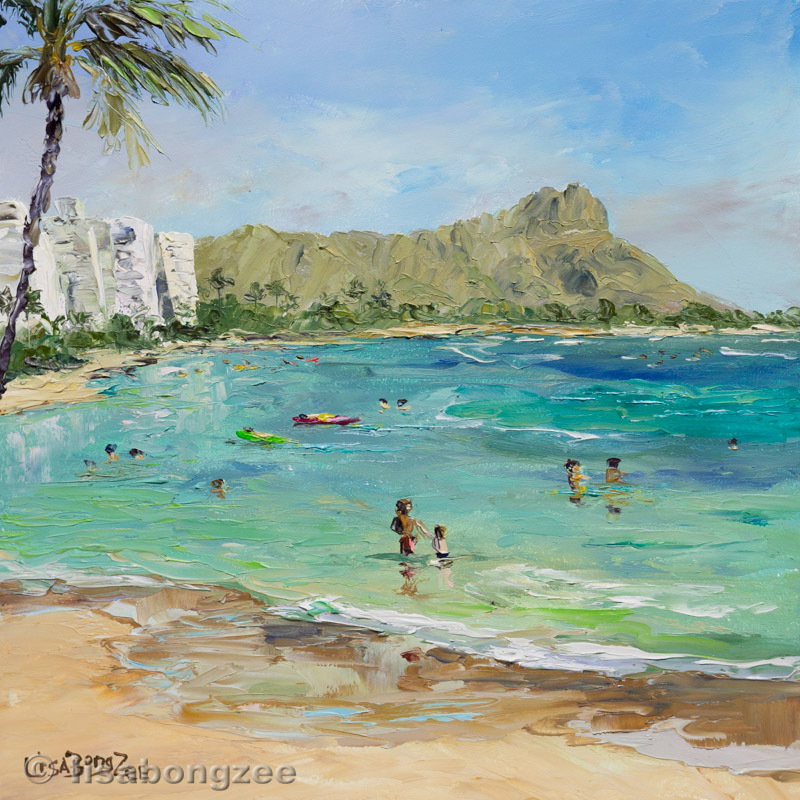 in the Outrigger Reef Waikiki. 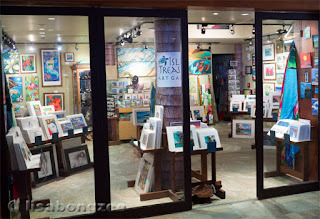 This is a cute little gallery packed with lots of great Hawaiian art from many local artists. Located in the heART of Waikiki! 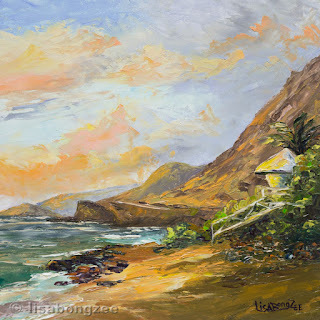 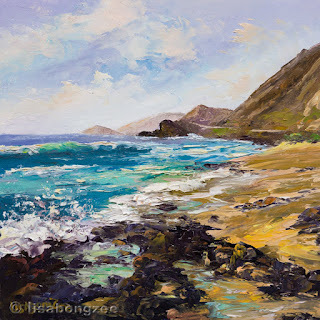 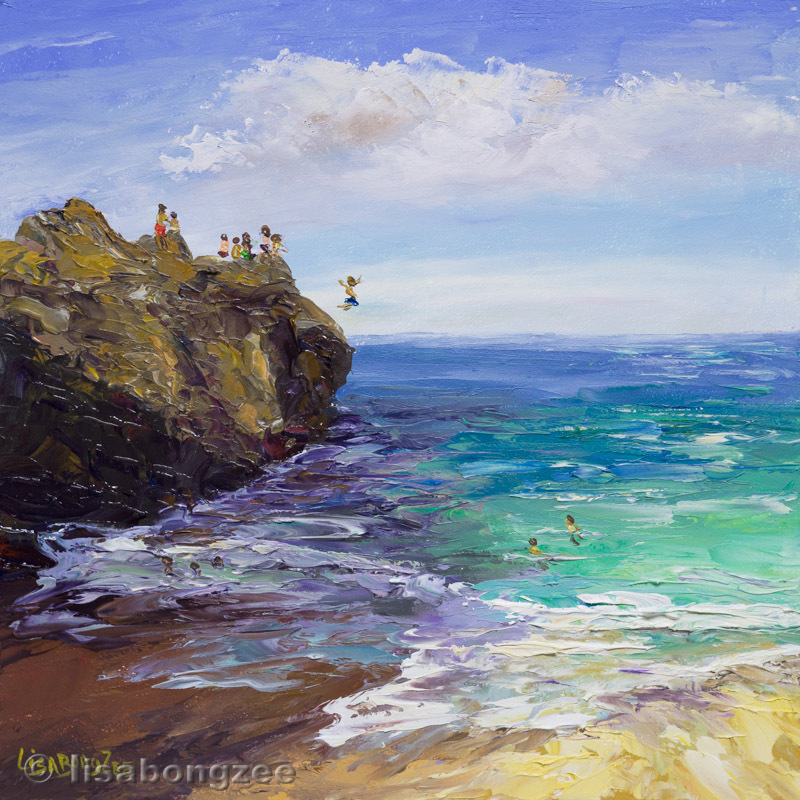 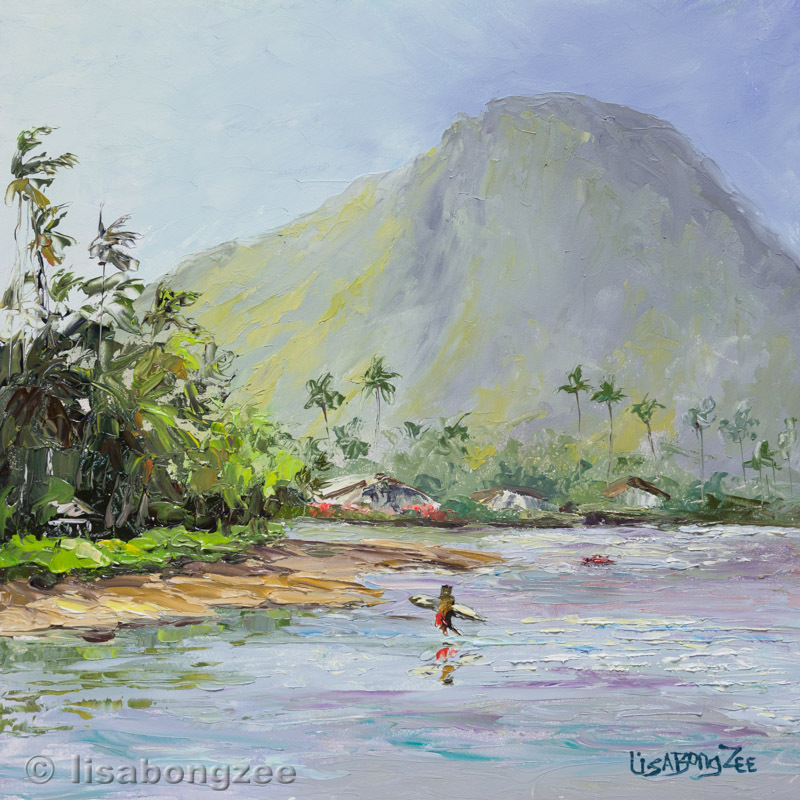 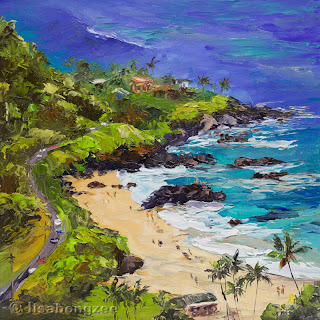 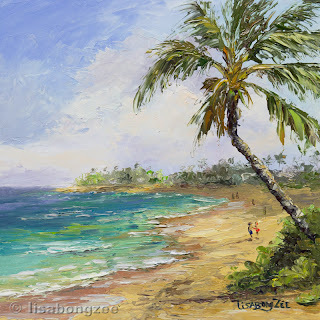 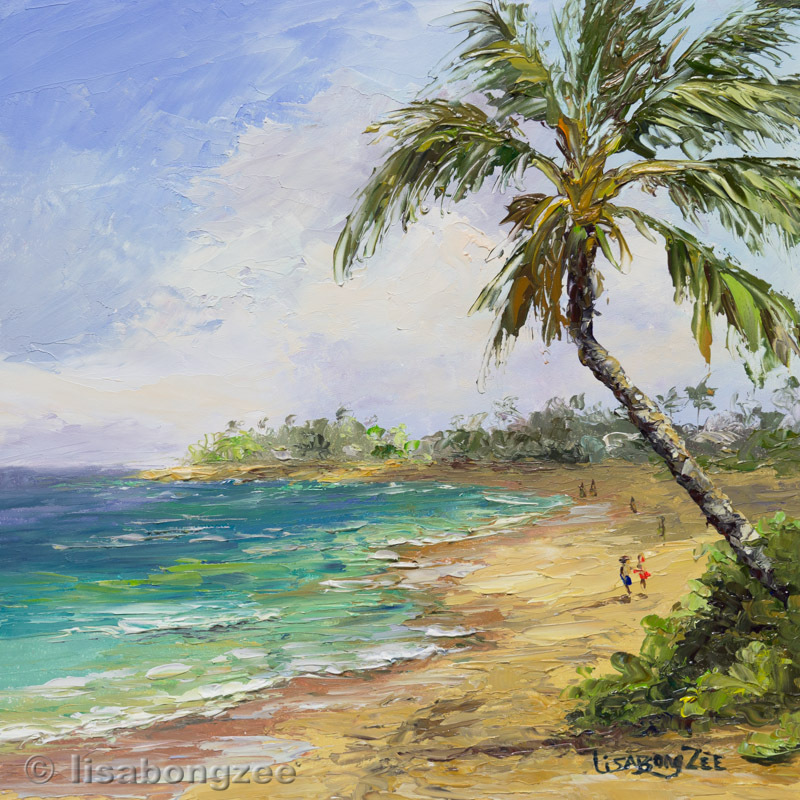 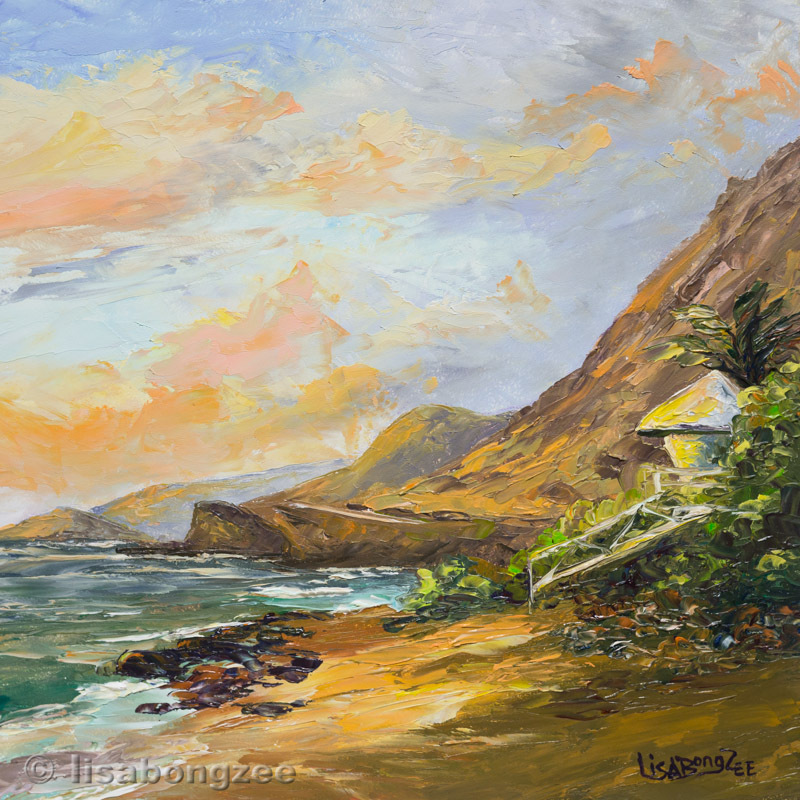 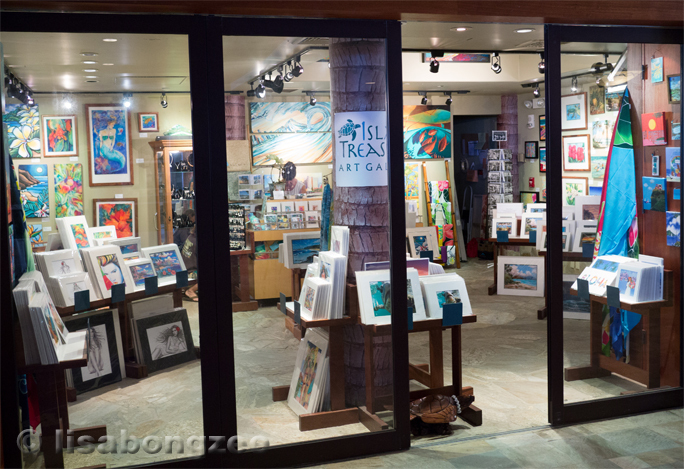 "Island Treasures At The Reef"
You can find even more Island Treasures, including a wall of "Lisabongzee" originals, at their larger Kailua location, as well. 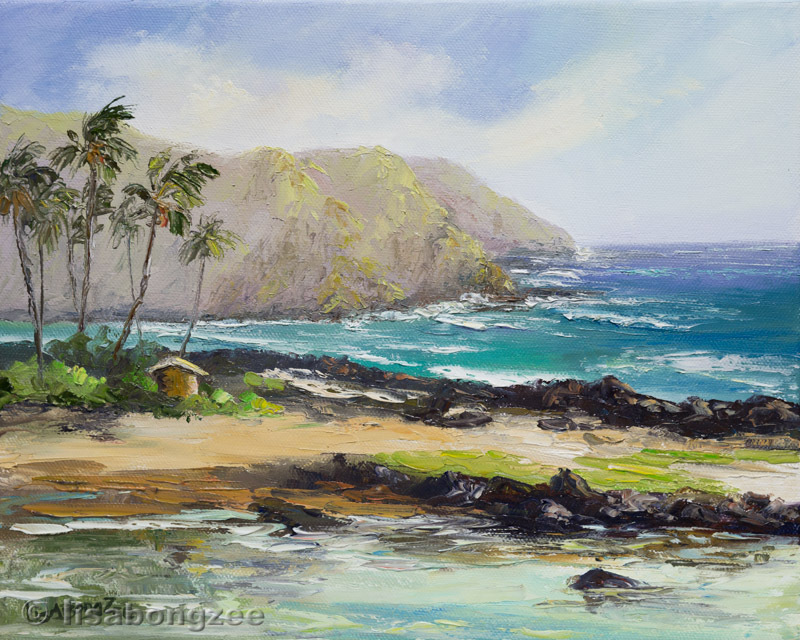 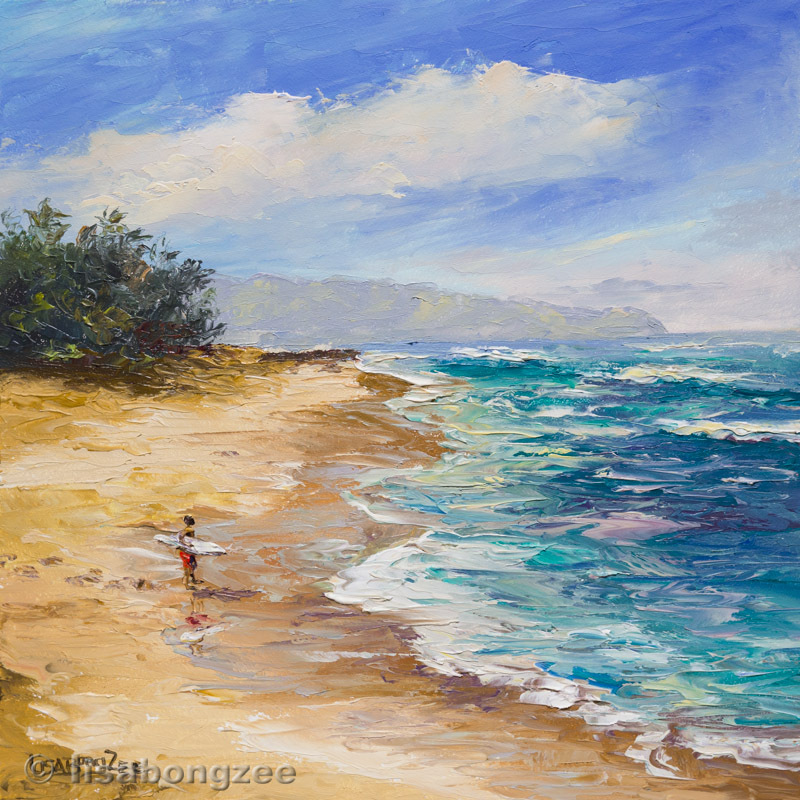 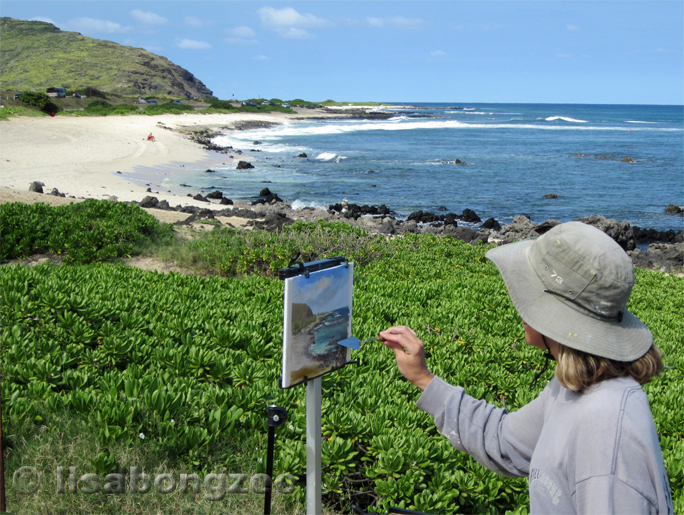 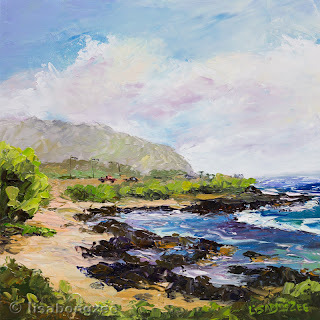 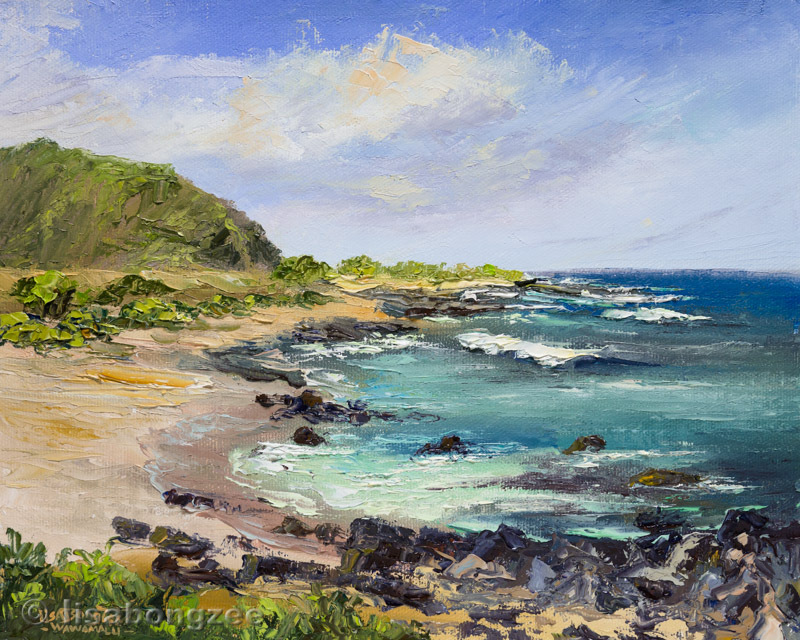 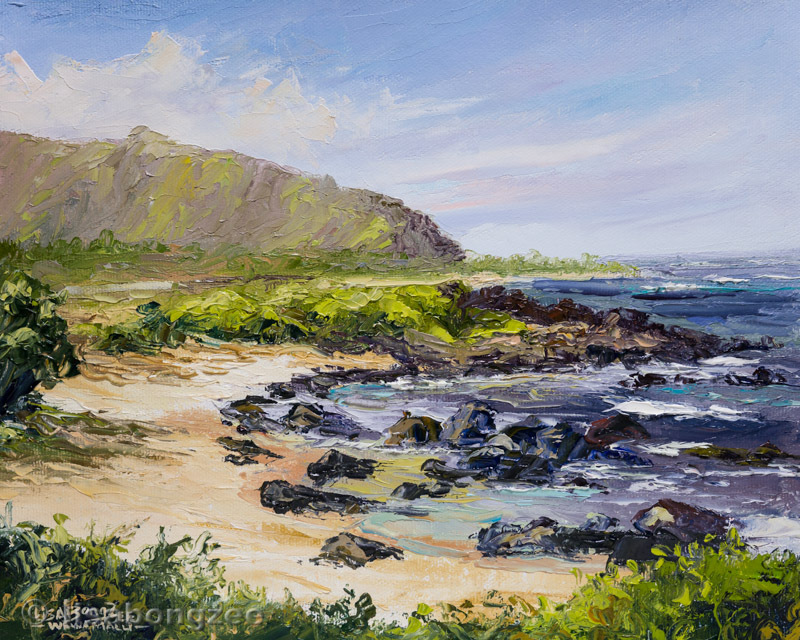 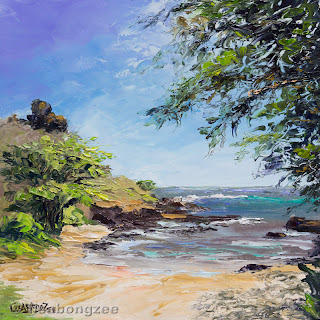 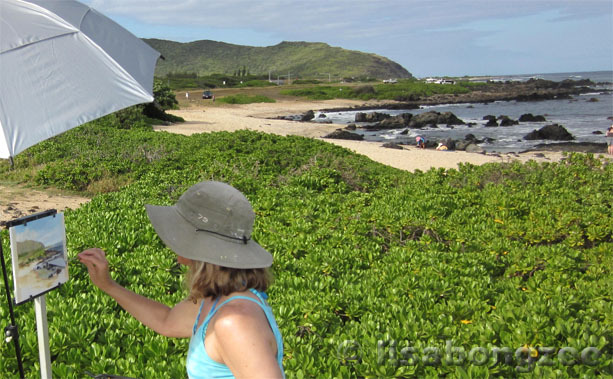 Last month, I spent a few days plein air painting around the Wawamalu area on the south shore of Oahu. Plein Air Study 8” x 10"
This beautiful scenery remained in my head as I started my next studio painting. 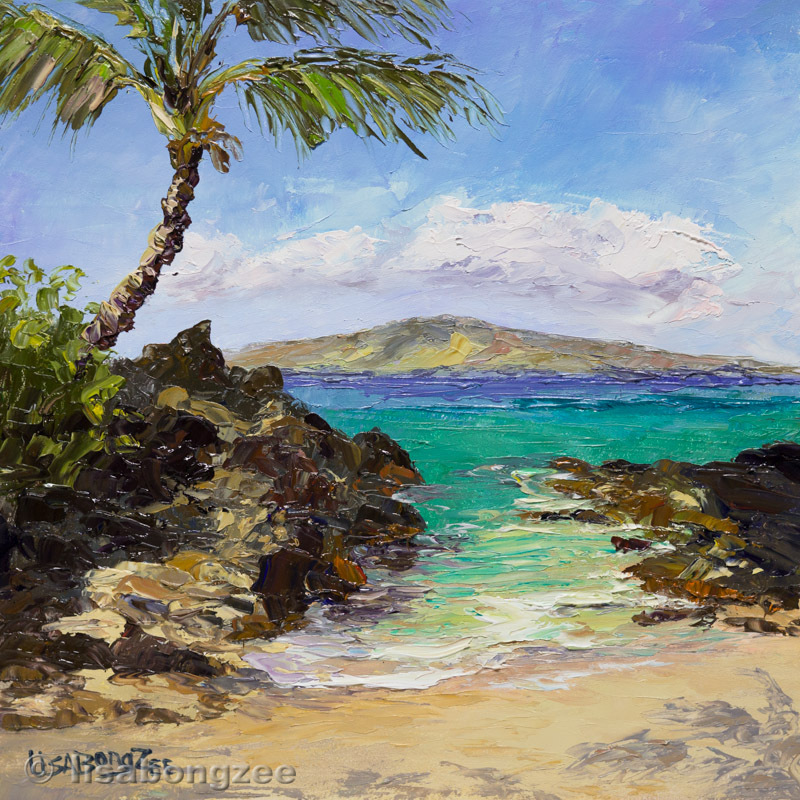 I let my imagination create a little slice of tropical bliss in “My Secret Lagoon”. 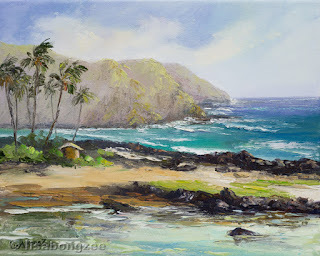 It is fun to think that maybe at one time there could have been a peaceful scene like this around Wawamalu.